Storyline extension to Lost to the Zone for CoC 1.4.22. Lost to the Zone: Storyline is an addon designed specifically for the setting present in Call of Chernobyl. Works as an extension to Lost to the Zone. Made with assistance from DoctorX01. A few fixes provided by av661194. Part 1 - Living Legend: a famous stalker has returned to the Zone. Pursue him in order to obtain his invaluable knowledge. Part 2 - Mortal Sin: a sinister faction emerges from obscurity to take over the Zone. You are the only one who can stop them. Part 3 - Operation Afterglow: the Zone attracts a lot of attention. However, some people believe that its many secrets are best kept hidden. Freedom is neutral to Ecologists and Clear Sky. Mercenaries are neutral to Loners. Moderately reduced penalties for accidental friendly fire. TRX: Dynamic News Revamp (4.3). Requires Lost to the Zone to work. Does this overwrite the DocX questlines? Nope, you can play the questline alongside this plot. I've been thinking about adding a short "alternate" storyline for the Monolith. Let me know if there's any demand for it here. I would absolutely love it ! Congrats on the release! I look forward to trying it out. Talking to Barkeep,before visiting Agroprom Underground and taking the notebook breaks the quest chain. Breaking the sequence, are we? I did implement some anti-sequence breaking measures but didn't think of that. I'll upload a fixed version in a few. 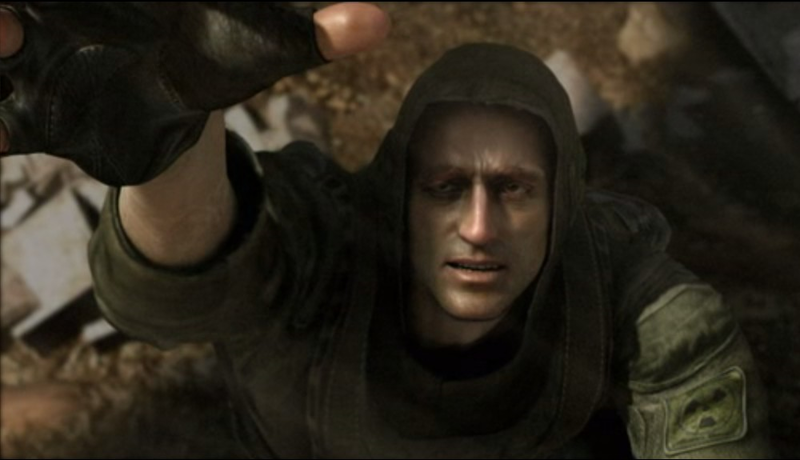 Edit: All right, now you have to first complete the search quest to be able to talk about the next part of the questline. To be honest it wasn't intentional it just so happen to be that the Bar was closer to unload some of my gear and restock then Siderovich and i did make a hard save before talking to him becouse I was expecting something like that to happen. No worries, good thing you told me. I should prevent such things from happening in the first place. Now it should work as intended. Well I wanna try it but I need to install Lost to the Zone first? Your addon and at last compatibility patch? Yup, you need LTTZ first. Love the mod, I may have found a bug. Talking to the librarian in the great swamp crashes my game, to the desktop. I have edited some mod files, not this mod though, to make them compatible. Going to have a look through the files and see if I can find the issue. its the only difference I've found between this mod, and LTTZ's version of the same segment, in the same file. Yep. Removing that line, then talking to the librarian did not crash my game. Yeah, that dialogue should be only available in the IFT compatibility patch. I've uploaded a fixed version. So far no crash, but may I assume that is not normal? Actually yes, you're supposed to find Doctor yourself so there's no marker. It's not that hard. I don't know what's causing that but it doesn't seem to affect my gameplay. I haven't even known that happens until now. The military installation isn't that big. Turn your flashlight on and look under your feet, you should stumble upon it sooner or later. It isn't hidden. I'm at the point where I have to talk to blackjack, (I'm assuming hes just the merc's person to go to), and ask him about the north zone, but the only options are either 'Tell me about yourself.' or 'peace'. I had talked with him before, since I started in that area, maybe I triggered something too early? I've completed the campaign myself, as a merc, and everything worked. One person pointed out, though, that it used to be possible to talk to certain npcs before being actually prompted to do that, breaking the quest chain. It's fixed in the current version of the addon. If you want to continue the questline I can link you a file that'll allow you to talk to him again and carry on. Edit: If you did talk to him about that you should have the next quest available already, actually. Thanks, thought it might've been an error, I'm sure I can figure out a way around it. Have you considered adding this for 1.5? Yes, I'll definitely do that in the future. For now I've been working on Part 2 for the story, though. What's new in the November 4 update? I restored one unused new dialogue and adjusted a quest reward. Minor stuff. This is a great addition - I'm really enjoying it. Would it cause problems if I increase population factors in axr_options.ltx (beyond their normal limit)? All the characters and enemies you encounter during the questline are scripted and independent of the population factor. The addon hasn't got any effect on the general population either. Any chance this can be adapted for CoM: Last Day? I second this. The community has really improved upon and almost perfected the otherwise flawed piece of burnt out ambition that is Last Day. Last Day could really do with SarisKhan's quests. To clarify, is this not compatible with weapon addons or outfit addons? It is compatible with everything that base LTTZ addon is, which includes the 3 main weapon packs, Outfit Addon, DrX Questlines, texture stuff, etc. Erm, I'm kinda lost, to avoid spoilers, let's put it like this: i need to raid Culture Center and kill the big guy, but he doesn't show up or i can't find him? He looks distinct from the others if you pay attention. Also, if you empty a whole clip into one of the enemies and the guy refuses to go down, well, that's him. - Tweaked and streamlined the functional aspect of the questline. - Tweaked Rogue and Stitch's animpoint behaviour. - Tweaked the composition of scripted enemy Monolith squads. - Added a few faction-specific dialogue bits. - Implemented a function that spawns 2 of the fetch quest items in a location randomly selected from a set of 3. My game crashes every time I speak to an important character. Anyone know how to fix? Seems you forgot to instal DrX Questlines.